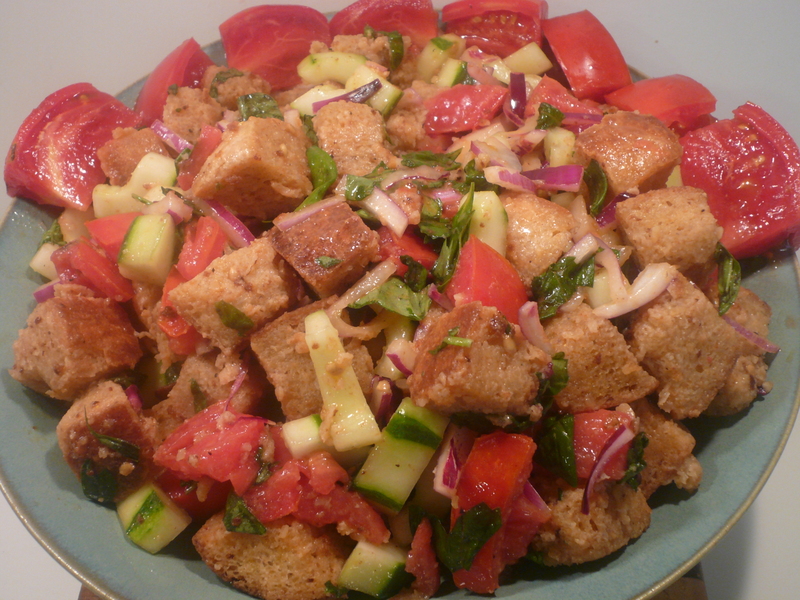 In the Lancaster Sunday News on August 8 we ran a piece on a fabulous Panzanella (tomato and bread salad). It occurred to me today that while the recipe is fabulous, and easy to make, what it begs for, and wasn’t mentioned in the article, was that it would be even better with a homemade bread. 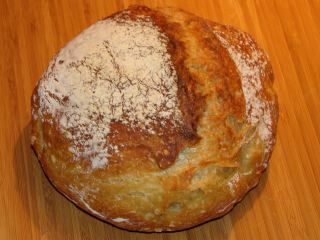 Now I recognize that making bread is not everyone’s cup of tea, mostly because it isn’t an easy thing to do for a novice, we have for years made a wonderful crusty white bread from a recipe published in the New York Times in November of 2006. The beauty of that bread is that it requires no kneading. Just mix the ingredients, show some patience during two rise periods, and discover the easiest bread this side of an electric bread maker, but so much better. The Times’s recipe is great, but the results can be less than perfect and the product inconsistent if the baker varies even a tiny bit from the original recipe. There have been numerous bakers who have taken the challenge of making the bread better and easier to make. I have found one that I adore, and while it does require just a bit of kneading, it is about the best bread I know, is truly easy to make–even for a beginner–and works perfectly every time. It comes from one of my favorite cooking resources, Cook’s Illustrated (I’ve implored you several times to pony up the fee to subscribe to their web site; it’s the best cooking site on the Internet. Do give it a try), and it is the best bread match for the panzanella recipe I wrote about in August. That recipe is linked here, and is worth your time. And if you’re really ambitious, bake the bread as well. It’s a winner.